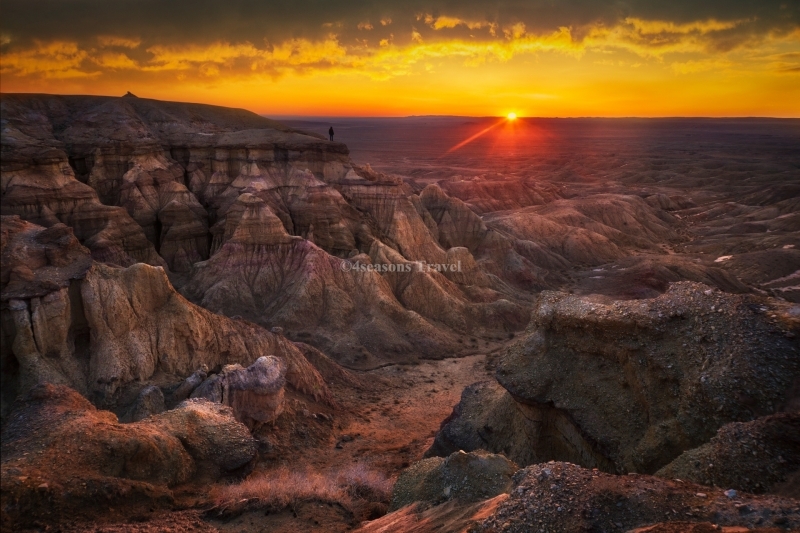 The rocky formations of Tsagaan Suvarga, ”white stupa”, are located in the Southeast of the sum Ölziit, on the Southern border of the province of Dundgovi. These rocky formations eroded by the wind look like a ruined city if you observe them from a certain distance (85 kilometres, 52,82 miles). They are about 60 metres (196,85 feet) high and 400 metres (1312,34 feet) long. 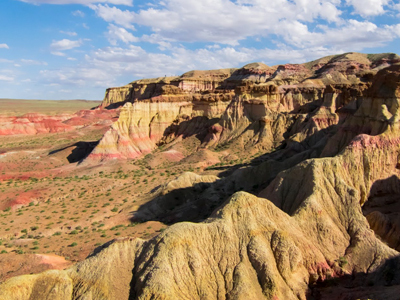 Southwest Tsagaan Suvarga, another rock called Ulaan Suvarga, the "red stupa", has the same structure.